A home loan is one of the most popular types of loan products in the Indian financial market. When taking a home loan, it is very important to settle for an affordable EMI to ensure that you can repay the loan in a hassle-free manner. You can use a Home Loan Calculator to calculate EMIs and understand other important aspects of the loan. With the rising cost of real estate in India, it is now impossible for a common man to pay for a home without taking a loan. EMI, being one of the most important aspects of a home loan, should be calculated accurately to make sure that it is affordable and can be routinely paid. Rather than calculating the monthly installments manually, an online calculator can be a simpler and time-efficient alternative. Let us have a look at the different ways in which one such calculator can help you. An online Home Loan Calculator makes it easier for you to accurately calculate the approximate EMI when you take a home loan. The tool requires you to enter the loan amount, tenure and interest rate to calculate the monthly EMIs. A manual calculation can be time-consuming and prone to errors. However, the calculator will provide accurate calculations within seconds. To ensure that the loan is repaid efficiently, proper planning is a must. With the help of the calculator, you can get to know the loan amount and loan tenure that would result in an EMI appropriate for you. You also get to adjust the interest rate and know the difference the smallest of changes in it can have on your EMI. Lenders in India offer home loans at different interest rates. As the interest charged on loan can be in lakhs in case of home loans, it is very important that you select the best deal possible. With the help of the calculator, you can understand the exact difference in the EMI amount and the overall amount that you will repay to the lender on the basis of different interest rates. As a result, it’ll be much easier for you to pick the best lender. Your credit score is negatively affected when you are unable to repay a loan. This is often the case when a borrower doesn’t calculate the EMI before taking the loan. When the EMI amount is higher than what they can afford every month, they not only risk their credit score but are also required to pay penalties in late payments. Moreover, the lenders can also take legal action against the borrower in case of non-payment. With the help of the calculator, you can have a clear idea of the EMI amount and can move forward with the loan only when the amount is affordable. With the help of the calculator, you no longer need to rely on loan agents to calculate the loan for you. Right from the interest rate, the tenure of the loan, to the loan amount, you can yourself enter the values and calculate the EMI amount simply and efficiently. While the calculation would be approximate of the actual EMI, it is still an excellent tool to provide you a detailed analysis of the loan. 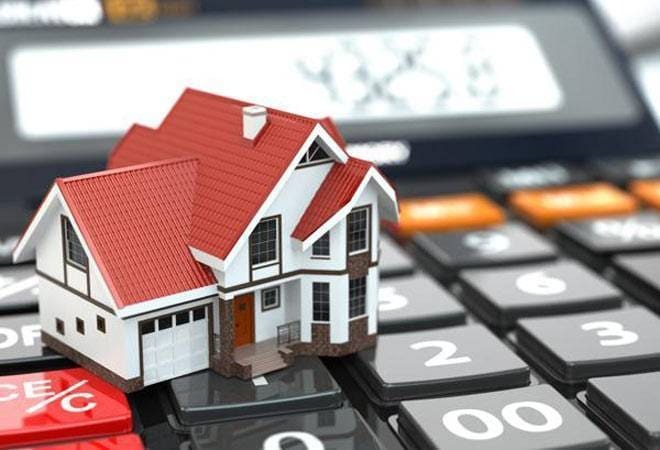 There are a number of ways in which a calculator for a home loan can help borrowers. If you are planning to take a loan, make sure that you do use this online tool as it will surely make the loan easier for you to understand and plan.